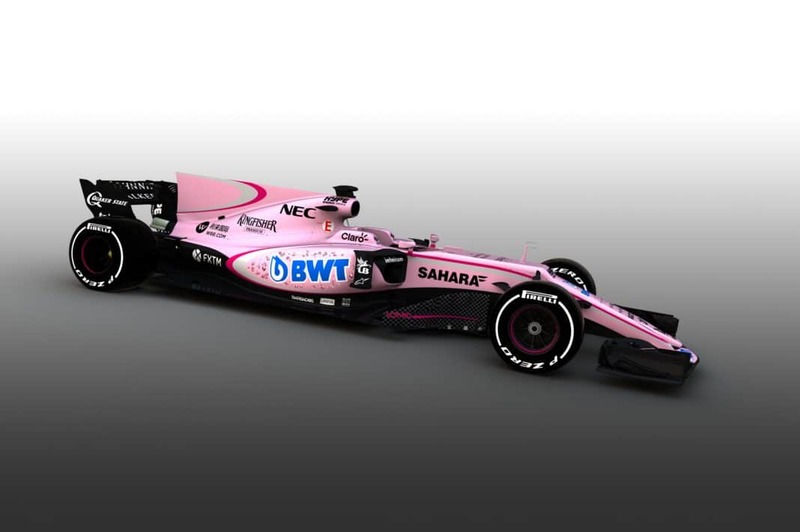 The Sahara Force India F1 VJM10. Sahara Force India F1 VJM10 Livery Reveal, Tuesday 14th March 2017. 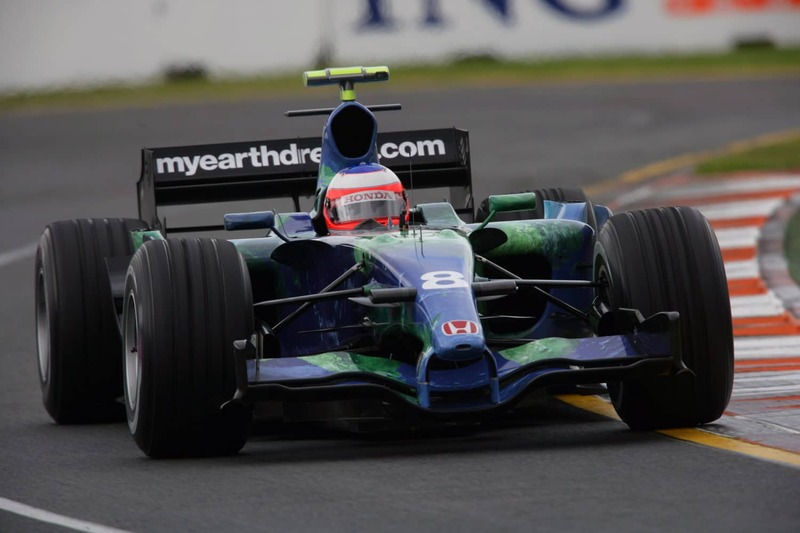 Rubens Barrichello powers around Albert Park in 2007: Credit -Andrew Ferraro/LAT Photographic. After ditching British American Tobacco for good at the end of 2006, Honda felt the need to go green for 2007. You could almost see Jenson Button and Rubens Barrichello wilt in embarrassment as they unveiled the ‘Earth Car’ in London’s Science Museum. 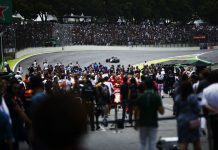 The embarrassment didn’t fade as the season progressed and the car failed to even make the podium. 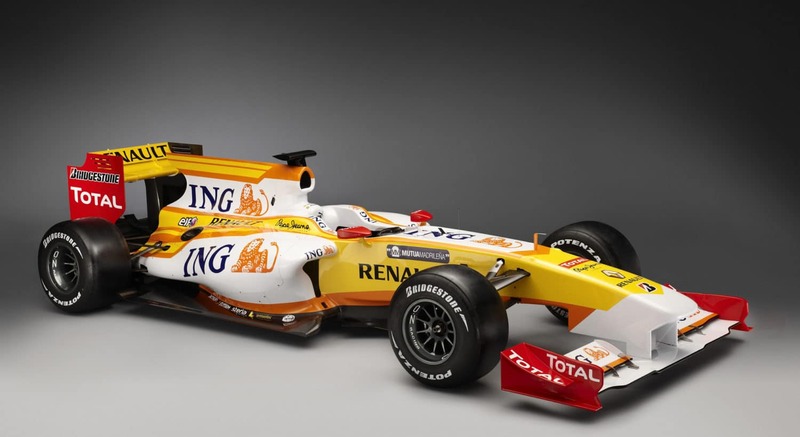 After years of sublime Mild Seven blue, Renault switched to ING sponsorship in 2008. 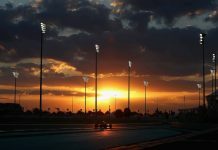 The car remained fairly neat and Fernando Alonso piloted the R28 to two wins (let’s just not get into Crashgate). By 2009 the smart navy blue was gone and, in its place a daring pallet of yellow and orange. 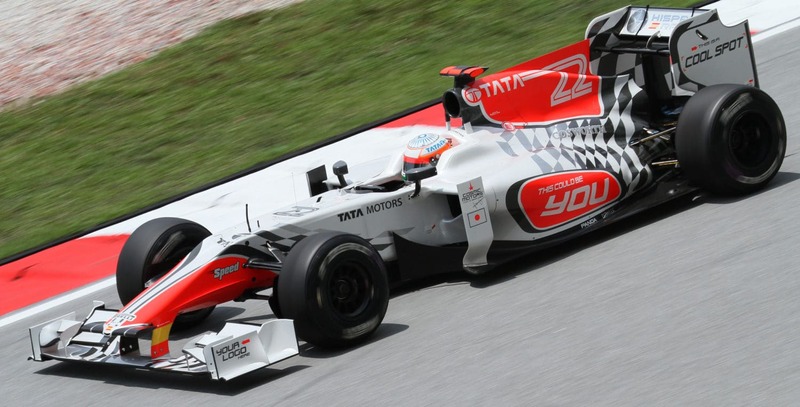 The car itself looked more like a boat than an F1 car with its absurd nosecone and chunky sidepods. Success was limited. 2000 brought fresh optimism for a fledgeling Minardi team. They had Telefonica sponsorship and a semi-decent line-up of Marc Gene and Gaston Mazzacane. What a shame they painted the car to look like vomit. The car’s proudest moment came courtesy of Mazzacane as he held off Mika Hakkinen for fourth in the US Grand Prix for a few laps. 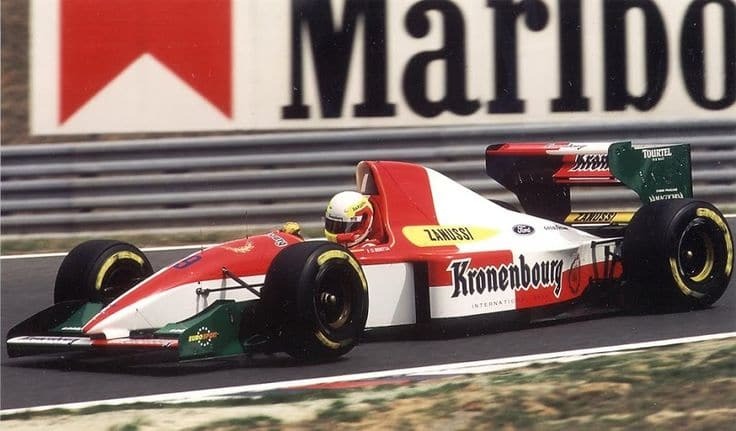 Larrousse actually sported two very different liveries during 1994 thanks to sponsorship from the huge Danone group. By far the most garish of the two was the Kronenbourg one. The red and white scheme made the cars look like jokers. They scored no points. Back in 1990, it was pretty darn hard to be considered garish in an era filled with shellsuits and tie-dye. 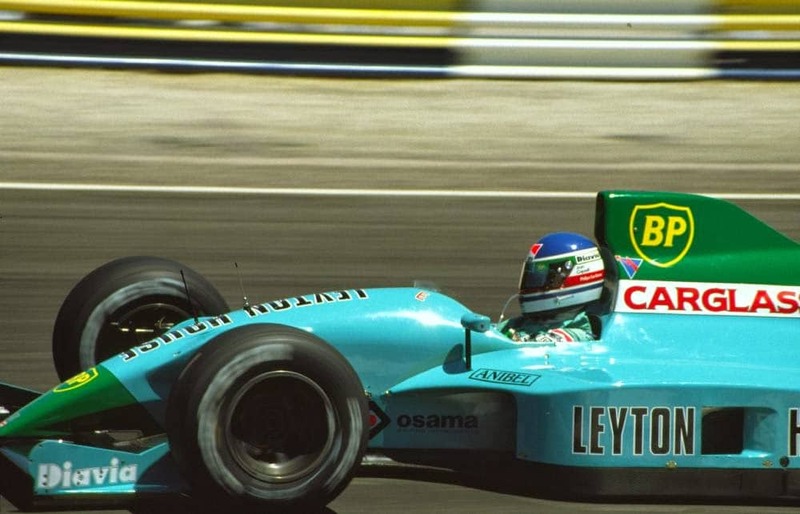 Adrian Newey’s splendid Leyton House managed the job with some class as the team slapped on a bright turquoise livery with green accents. It shouldn’t have worked but it just did. The car entered F1 folklore after it nearly claimed a shock win during the French Grand Prix the same year. Newbies to F1 in 1994, Simtek immediately set about making sure they stood out from a very large crowd of twenty-six cars. 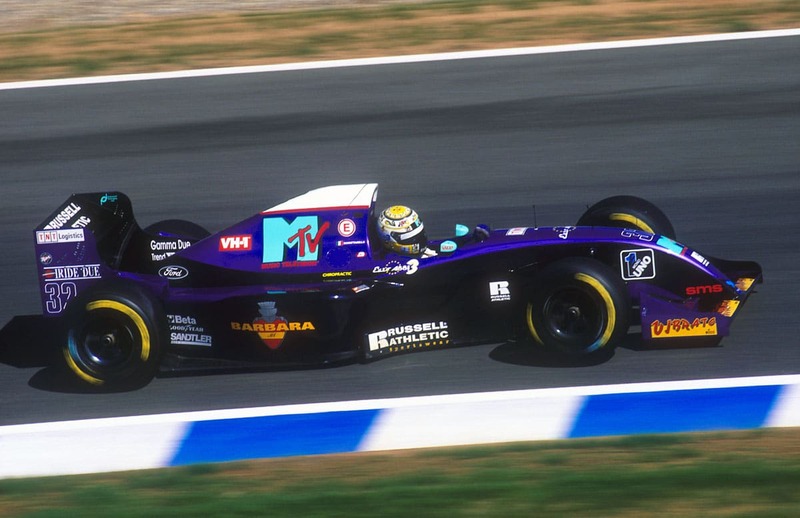 With title sponsorship coming from MTV, Simtek chose to paint the car a deep, metallic purple. It looked fantastic in sunlight, making it rather sad that it only lasted a year and a half before disappearing after the 1995 Monaco Grand Prix. ‘We will win our first race’ they rather arrogantly claimed. 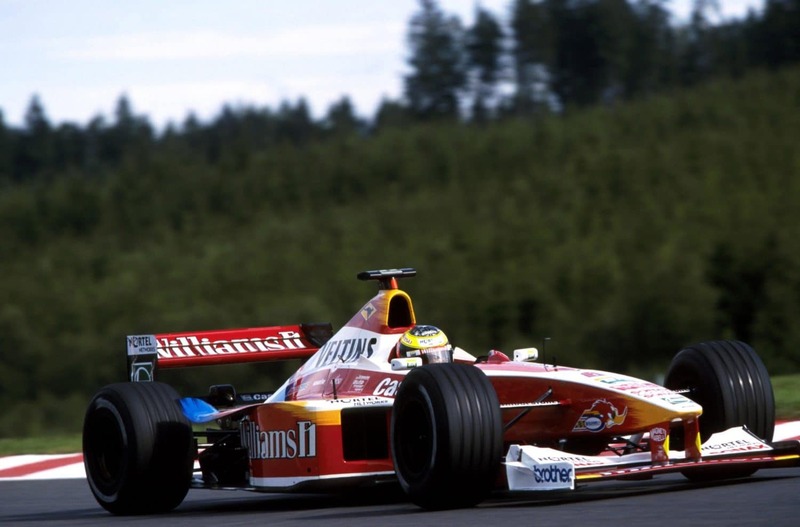 They also tried to enter F1 in 1999 with two completely different liveries on each of their cars. Bernie Ecclestone soon nipped that nonsense in the bud but, BAR had a trick up their sleeves. Instead, they forced us to soak up the sight of their ‘dual livery’. A garish zip separated the 555 and Lucky Strike colours. Bernie had the last laugh though as the team scored absolutely no points during the year and would receive zilch in prize money. After buying out Toleman, it seemed rather inevitable that Benetton would try something a little different for their livery. 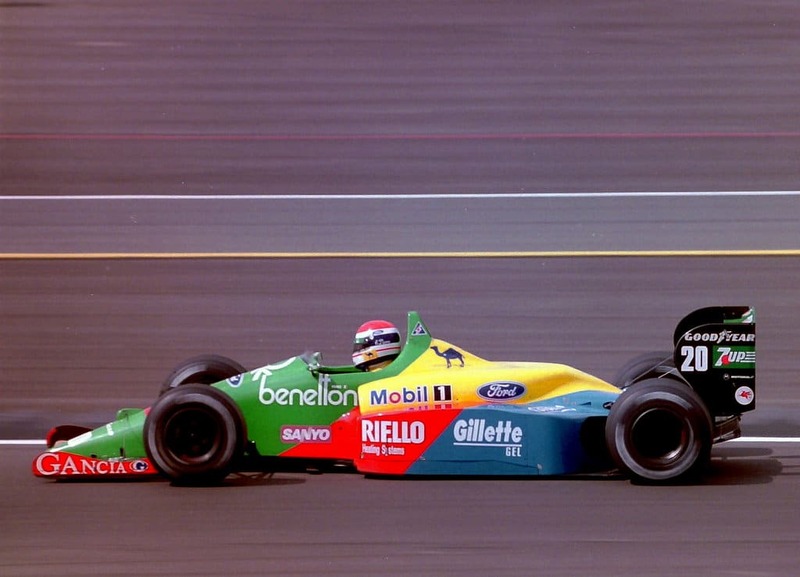 The most colourful livery of their early bunch was the 1989 B189. With huge chunks of primary colours, it looked like a technicolour marvel. Sadly the ‘United Colours of Benetton’ would be relegated t a supporting act just two years later as Camel came on board. After a trying first year in the sport, the Hispania team tried something different for the second album. A rather simple red, white and black livery was painted onto the car with some neat checkered flag detailing interwoven on the engine cover. Lacking sponsors, the team chose to put ‘this could be you’ stickers in primary locations. Fans laughed at them and in the end, it didn’t really help the team. However, if the plan had worked they would have been labelled geniuses. 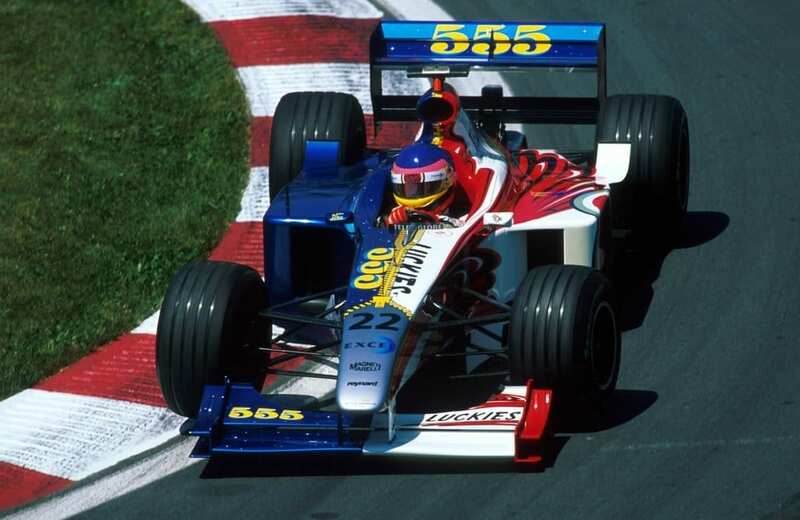 Williams were forced to ditch their beautiful blue, white and gold Rothmans livery in 1998 after British American Tobacco forced the red of Winfield upon them. 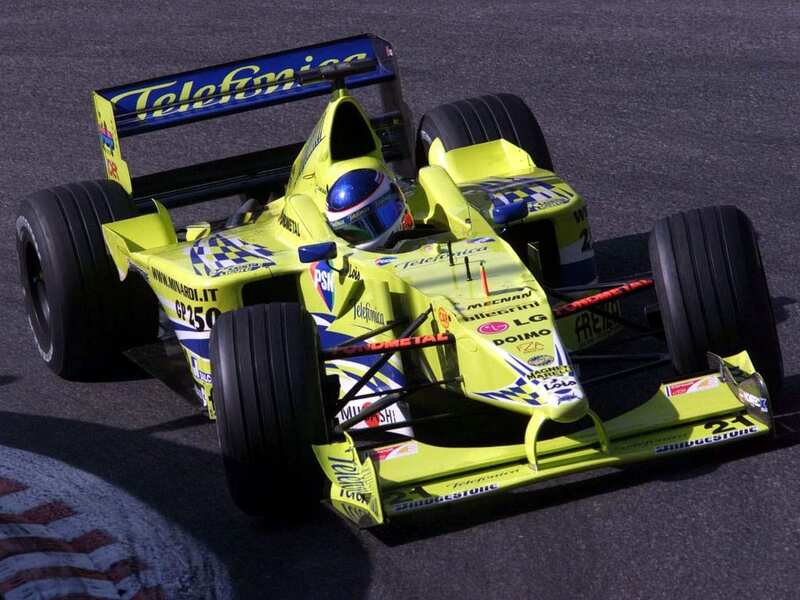 For 1999 the team added in some rather strange blue and yellow flashes to the car. The result was a disorganised mess of a livery that didn’t seem to hold any real identity. Thankfully the red was dropped in 2000 when BMW joined the team and insisted all sponsors sport their famous blue and white scheme. In an era known for extravagant flamboyance, Shadow produced perhaps one of the most garish liveries in F1 history. 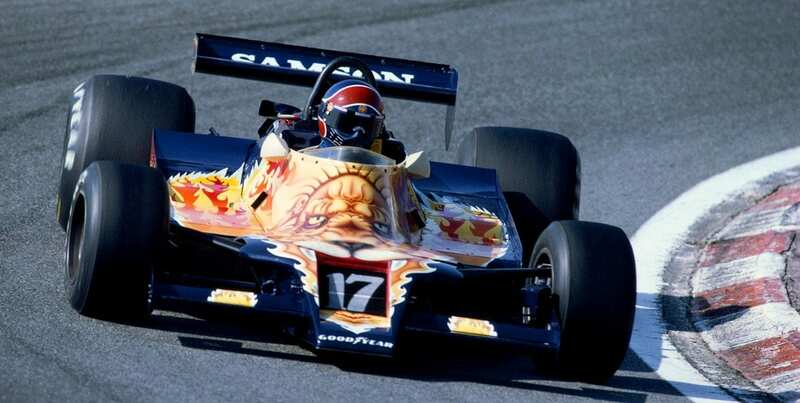 Sponsored by Dutch company Samson Tobacco, the team plonked a ruddy great big lion on the front of the chassis in 1979. Recently Scuderia Toro Rosso similarly used a charging bull on their engine cover. It didn’t come close to outdoing Shadow’s roaring lion, however. Got more garish liveries in mind? Let us know over @BadgerGP.